Grew up… on a farm in Austin, Texas. Brian, a talking dog, was born to normal canine parents. He was taken away from his mother at a young age, and ended up attending Brown University and settling in Rhode Island. Personality… wry, sophisticated, and intelligent. Even more than the child prodigy, Stewie, Brian is the most cerebral member of the Griffin family. That’s pretty darn impressive for a dog. Now who’s a good boy?! Yes, Brian, you’re a good boy! 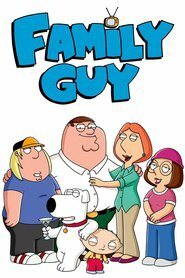 Brian Griffin's popularity ranking on CharacTour is #1382 out of 5,000+ characters. See our top-ranked characters and read their profiles.